16 of the biggest investment banks in the world and a company for financial information are a subject of antitrust investigation by the European Commission. Among the investigated banks are names like JP Morgan, BNP Paribas, Deutsche Bank, Goldman Sachs, HSBC, Morgan Stanley, Royal Bank of Scotland, UBS, etc. The investigation is being led in two directions, but in general it is focused on the derivatives market, especially Credit Default Swaps (CDS). This is a second series of the investigation of this market, as the first was initiated after a publication by the New York Times that Greece made debt swaps in order to adjust its statistical data so that it could fit to the euro area criteria. The first part of the investigation is aimed at financial information provision, necessary for the trade with CDS. The CDSs are financial products traded between financial institutions or investors. In their essence they are derivatives, aimed at providing protection against the risk of default. As the crisis clearly showed, though, the derivatives were often used for speculation too. And the information about CDS is necessary to enable market participants to define the price of their investment portfolios and to develop a proper strategy. The Commission has indications that the 16 banks, that acted as dealers in the CDS market, give most of the pricing, indices and other essential daily data only to Markit. This, according to the Commission, could be a a result of collusion between them or an abuse of a possible collective dominance. In all cases though, this could have an impact on the access of valuable information of other information service providers. According to The New York Times, the companies that could compete with Markit to provide information about the CDS trade are ThomsonReuters, Standard & Poor’s and Bloomberg. According to the daily, the CDS market is estimated to be worth roughly $600 trillion and is being controlled by a small number of players, the concentration of which caused concern about the transparency and competition in the last years. The newspaper claims that the investigated banks have recently undertaken measures to protect their advantages at the derivatives market. 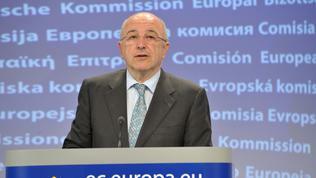 The second part of the investigation of the European Commission is related to the clearing of swap operations. A subject of the investigation are several agreements between nine of the 16 banks (Bank of America Corporation, Barclays Bank plc, Citigroup Inc, Crédit Suisse Group AG, Deutsche Bank AG, Goldman Sachs Group Inc., JP Morgan Chase & Co, Morgan Stanley and UBS AG) with the clearing house ICE Clear Europe. These agreements contain several clauses for preferential fees and profit sharing, which might create an incentive for the banks to use only ICE as a clearing house. The effect of such agreements, the Commission deems, could be that other clearing houses will not be able to enter the derivatives market, thus depriving the rest of the players from a real choice. In fact, the main problem with derivatives is the lack of transparency and clear rules. Which is why this type of instruments has become a subject of regulation not in a few countries with well developed financial markets. Regulation has even been elevated as one of the main priorities at the G20 level. The investigation of the European Commission will be based on the antitrust rules, enshrined in the Treaty on the Functioning of the European Union. A deadline is not envisaged as its continuity depends on a number of factors. 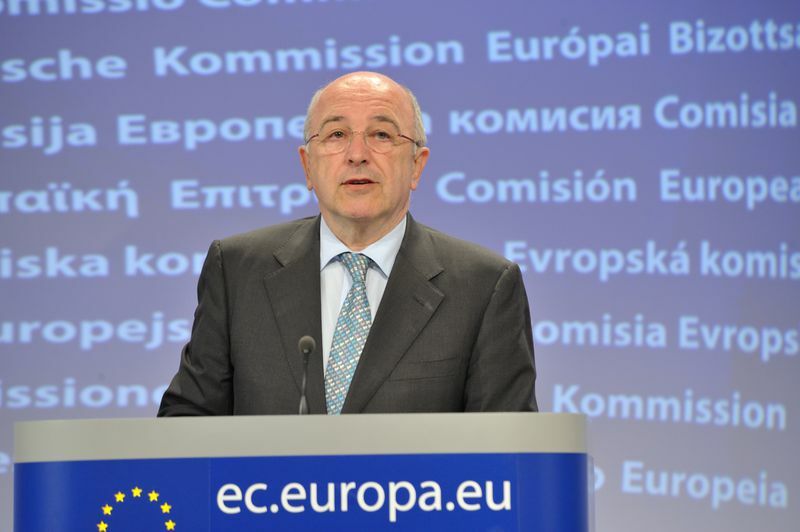 According to Competition Policy Commissioner Joaquin Almunia, however, the investigation will contribute to a better functioning of financial markets and, therefore, to a more sustainable recovery.